The second half of 2008 looks set to be a success for the UK box office, despite the rise of home entertainment and new media alternatives, and the impact of the credit crunch, according to a report fromthe UK Film Council. In the UK, the number of tickets sold in the first four months of 2008 fell 3.2%, from 50m in the first quarter of 2007 to 48m this year. But with the releases of The Dark Knight, Quantum of Solace and the latest Harry Potter still to come, 2008 could still approach the record-breaking box-office figures of 2007. According to the UK Film Council's statistical handbook, British films took $3.3bn worldwide (up 50% from 2006's $2.2bn) and accounted for 29% of the total UK box office in 2007. 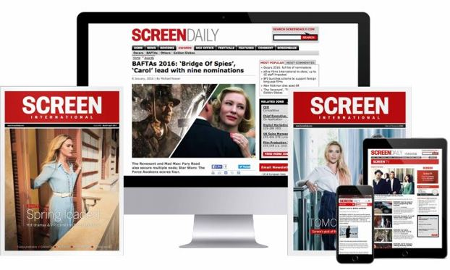 While the UK Film Council celebrates a year of success for 'British film.' it should be noted that it uses a broad definition of the term. Most of the films at the top of the box office are primarily studio-led. Harry Potter, for instance, is backed by Warner Bros, The Golden Compass had New Line financing; and The Bourne Ultimatum was a Universal project. Even those with more genuine claims tobehomegrown films such as Mr Bean's Holiday and Hot Fuzz - produced by UK stalwarts Working Title - have access to US financing through Working Title's Universal deal.